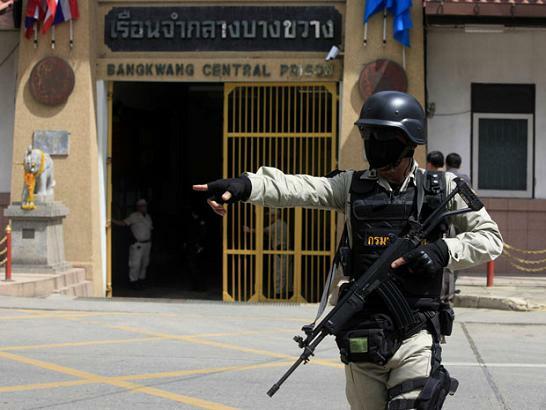 Bang Kwang Central Prison, better known as the Bangkok Hilton and situated in the province of Nonthaburi on the outskirts of the city, is a notorious prison, not be confused with the luxury Bangkok hotel of the same name. 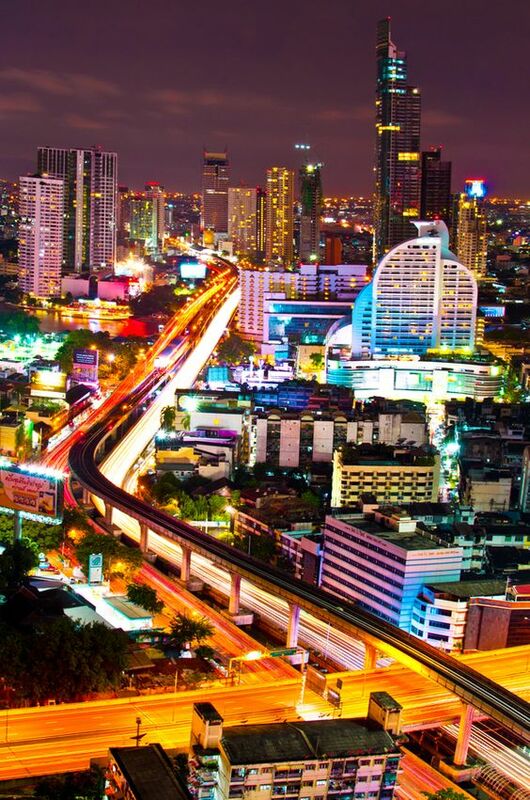 The name Bangkok Hilton is the appellation given to the infamous Thai penitentiary located within the confines of the capital city of Thailand. Unquestionably, you would want to avoid spending any time here other than possibly the necessity of visiting a loved one, but hopefully not. The luxury hotel goes by the singular name Hilton. 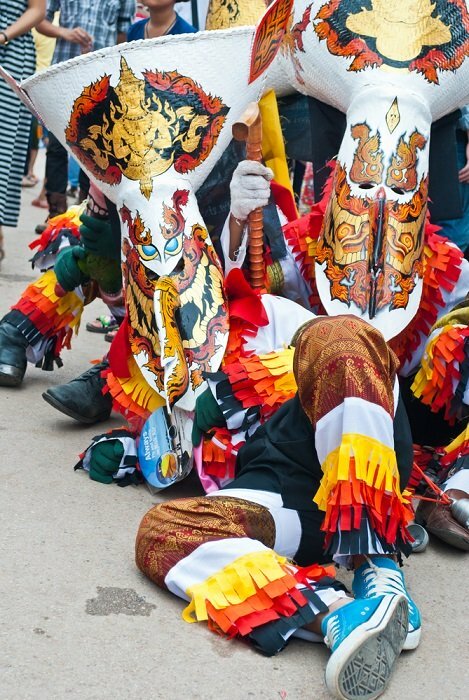 Come now, I bet you have always wanted to do something completely different when next abroad in Thailand. Out of pure curiosity, why not resist the temptation and take a tour to some of Thailand's relatively obscure destinations. They may not be advertised on any tourist brochure, but it sure beats the hell out of the often crowded and popular venues of Bangkok. I did just that in 2004 while on a hot and tedious tour of the Grand Palace. Very little thought, if any was planned for a visit of this nature, but then fate instantaneously intervened. After having spent considerable time exploring all the thrill-seeking tourist sites and sounds of Bangkok, my friend and I decided to do something we never thought would become part of our itinerary. It was purely on a need to know basis and before we could change our mindset, we were off on a new surveillance. Our tour guide was taken completely by surprise but nevertheless accepted our proposal. As a tourist, we tend to take our vacations in places around the world where we can relax and enjoy ourselves and to this end, bring back wonderful memories of glorious days spent leisurely visiting historical places of interest, dining on fine cuisine, cruising the oceans or just lazing around in the sun. Does this sound familiar? I would not like to have to spend any unnecessary time in these such institutions as I am sure neither would you. My only need to explore these avenues is because of my fascination into various criminology activities that occur around the world. Before I continue with some of my own observations and fascinations into this sometimes forgotten world, I would like to share with you the many books I have read regarding the insights into some of these hell holes. The books that I am going to review on this page are books that I have personally read myself. Everyone makes for an interesting read. The Damage Done is one man's story of an unthinkable nightmare. In 1978 Warren Fellows was convicted of heroin trafficking between Thailand and Australia. He was sentenced to life imprisonment in the notorious Bang Kwang prison, nicknamed "Big Tiger". It was the beginning of 12 years of hell in a place where cockroaches and sewer rats are the only nutritious food, where prison guards laugh as they deliver pulverising blows and where the worst punishment is the khun deo or solitary confinement. It is not Warren Fellows' plea for forgiveness nor his denial of guilt, but a story of endurance and survival and the abuse of human rights during the decade of a life wasted in leg irons. It is an essential read, heartbreaking, fascinating and impossible to put down. I was given this book at the airport in Bangkok and started reading it as my flight took off. I finished the book as my flight landed at the Cape Town International Airport, South Africa. Forget you had a daughter is a shocking account of the time Sandra Gregory spent inside the infamous Lard Yao prison. After two years of living abroad in Thailand, Sandra suddenly became desperately ill and as her medical bills began to mount, her bank account dwindled. In exchange for $2,000 she agreed to carry 89 grammes of heroin to Tokyo for a friend, but before she even boarded the plane she was caught by Bangkok Airport security and ultimately sentenced to 25 years. In this book, Sandra details the four and a half years she spent in a Thai prison describing scenes of horrific brutality and suffering. She tells of her daily fight for survival, of the many women who died with no medical care or loved ones around them, and of her acceptance of her guilt and ultimate redemption. Amidst the pain and torture, this honest recollection shows how Sandra fought for survival and prevailed. Escape is the true story of drug smuggler David McMillan's perilous breakout from Thailand's most notorious prison. After more than a year in prison and two weeks before a near-certain death sentence, David escaped, never to be seen in Thailand again. Among the 600 foreigners jailed in the Bangkok Hilton, David did what no other has done. Well, if you want to find out, you'll have to read the book.